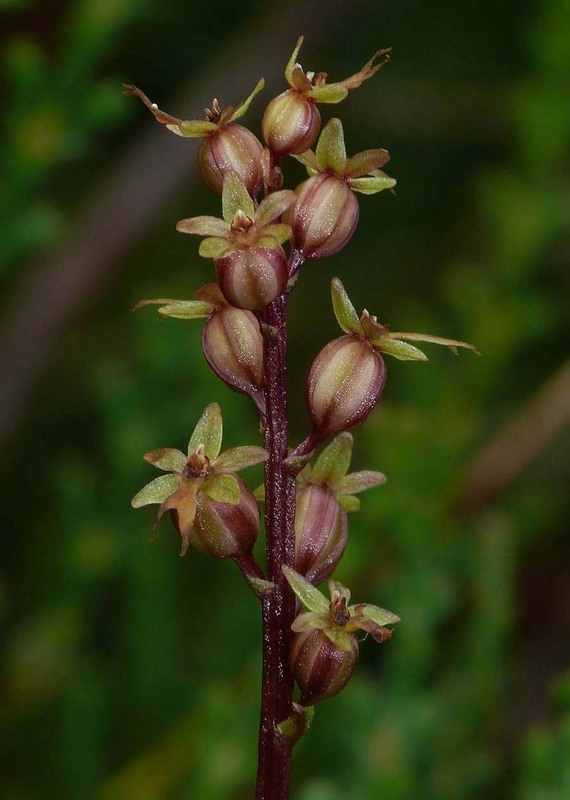 First described in 1753 from Sweden, N. cordata is another of the midgets of the European orchid world but as can be seen from the pictures, what it lacks in stature, it more than makes up for in its subtle and individual beauty. 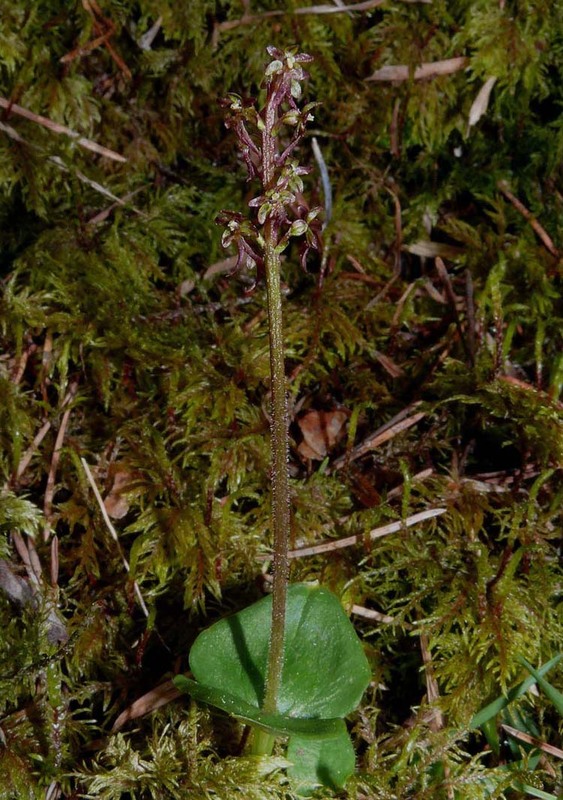 Neottia is a small genus which has recently incorporated the two European species that formerly comprised the genus Listera and so together with N. nidus-avis , it is a three species group (in European terms ). 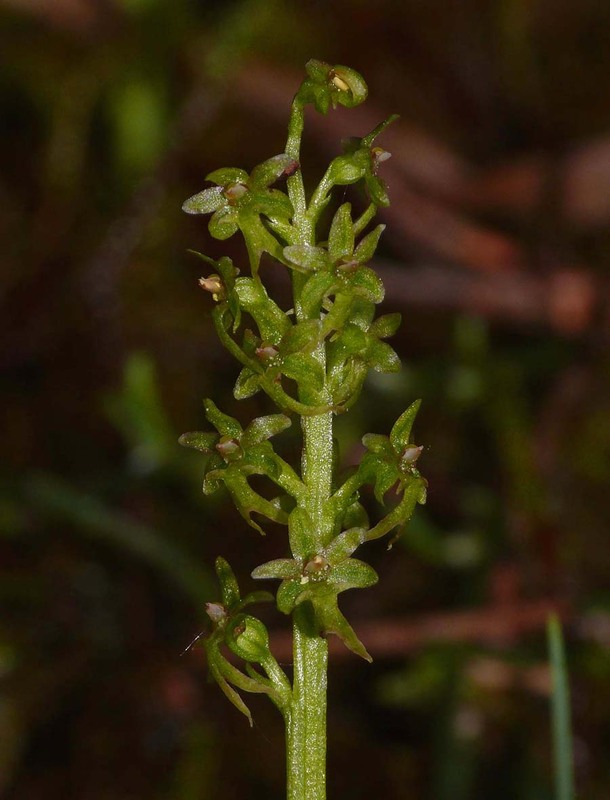 This is a very widespread little orchid which has a circumpolar distribution and which is common in the far north, becoming rarer as it travels south. 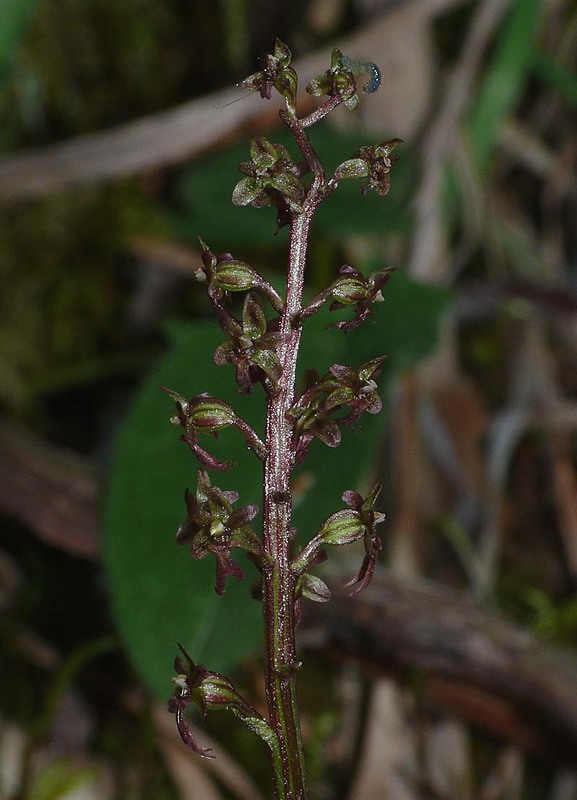 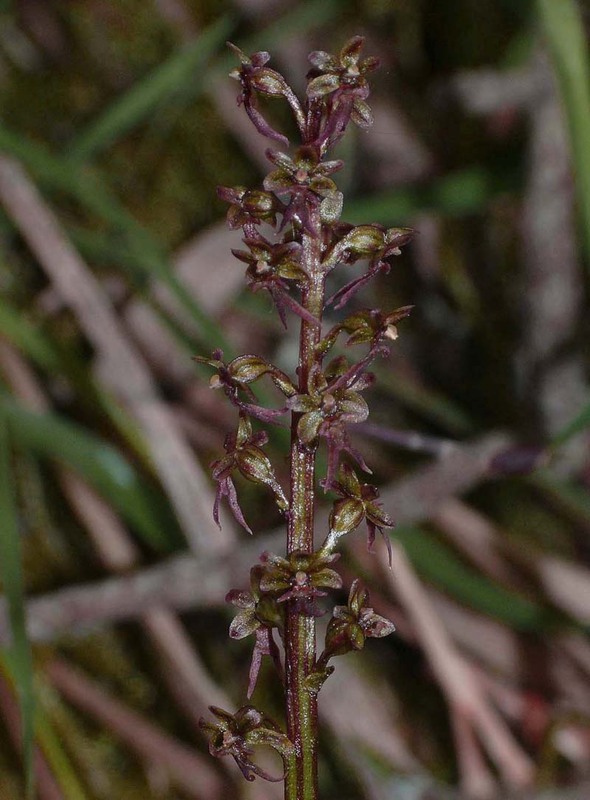 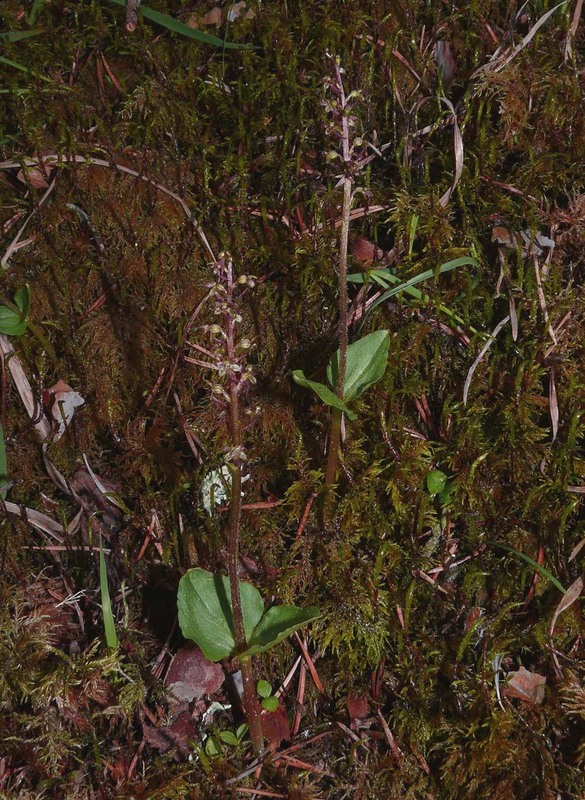 In Britain, where it is commonly known as the Lesser Twayblade, it's relatively frequent in Scotland, occurring in various habitats including sand dunes, wet moorland and pine forest. 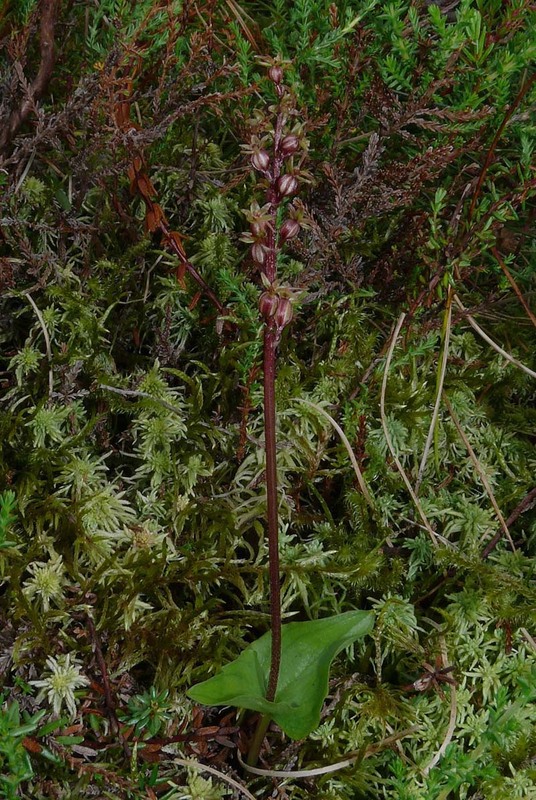 In England and Wales it is a much rarer plant and is found in just a few sites in South Wales and the West Country, most notably Exmoor. 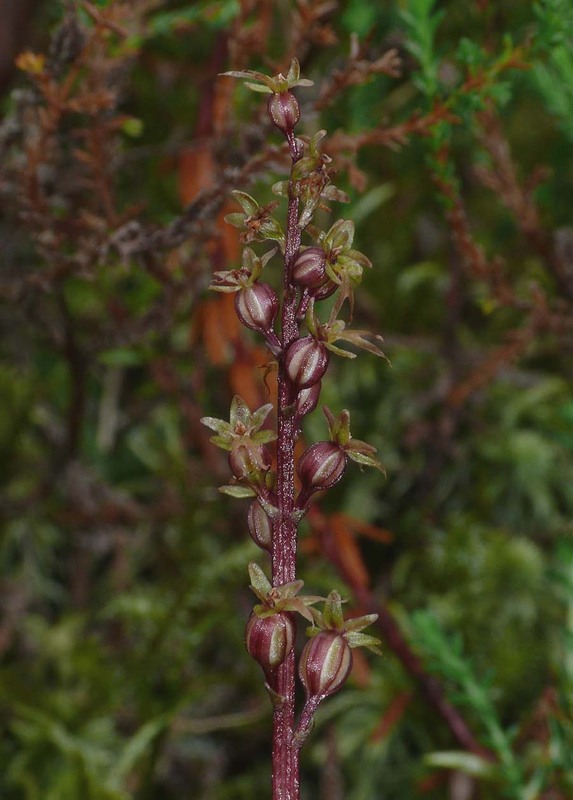 In the southern part of its range (N. Spain, S. France, N. Greece, N. Italy) it is very rare and strictly a mountain plant, growing predominantly in pine forest on thick cushions of moss. 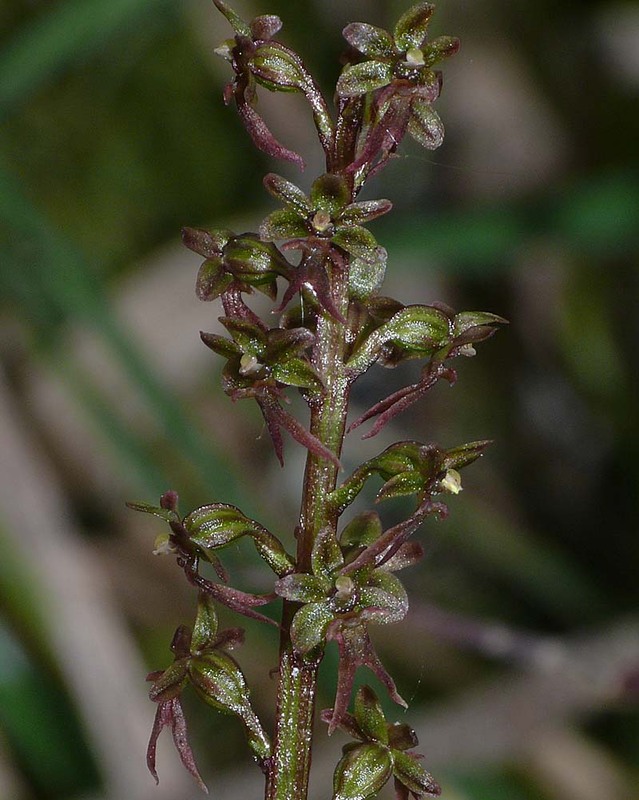 Although very localised, it can form extensive colonies in suitable shady positions where its bronze colouration and diminutive stature make it extremely difficult to spot. 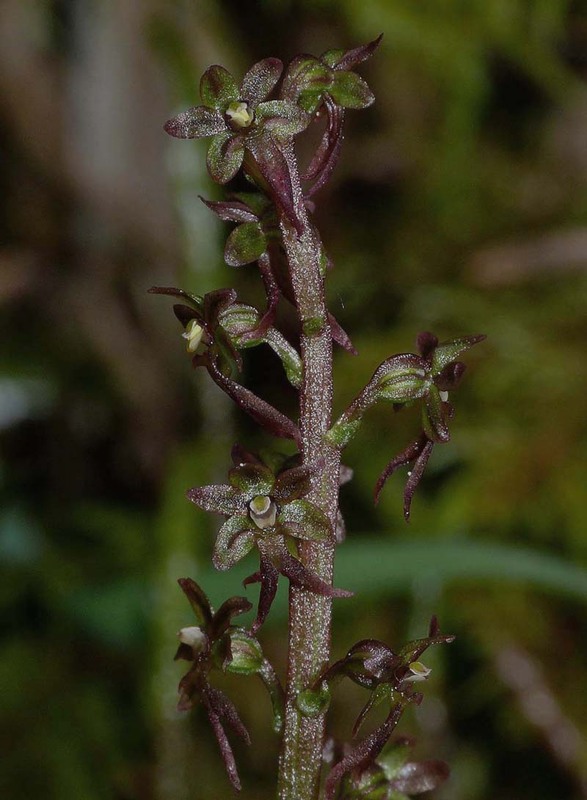 For these reasons it's almost certainly an under recorded species. 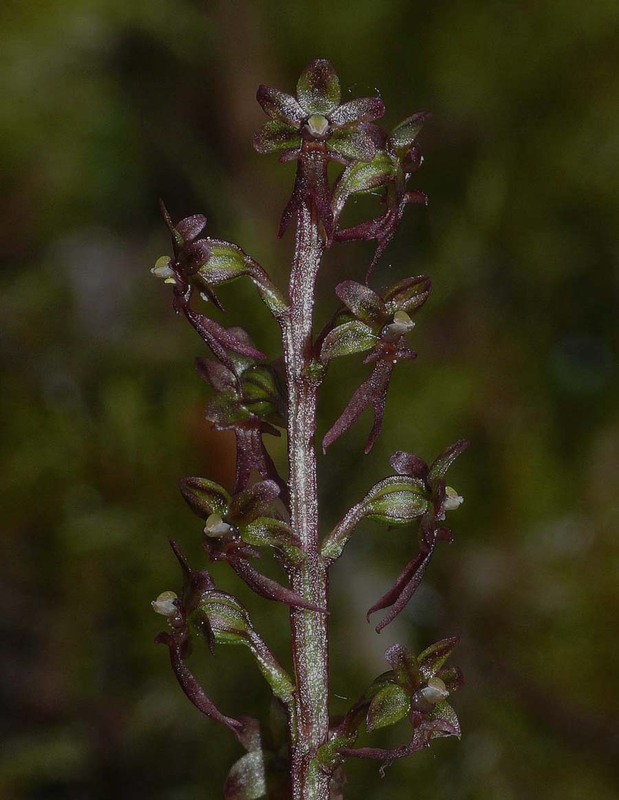 The photographs date from the 26th of May and come from both Scotland and a far more southerly part of its range in the Vercors area of southern France. 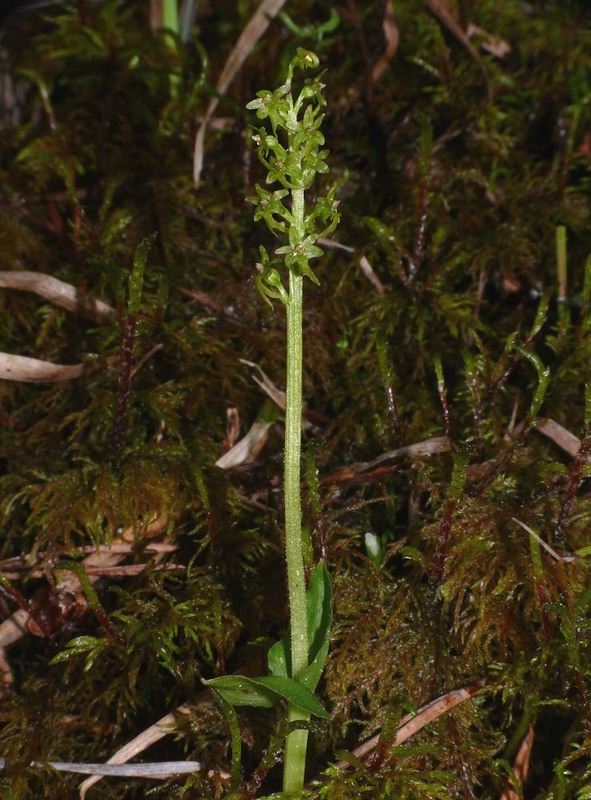 This isolated colony is to be found in the high mountains below the Col de Menee and grows within metres of other montane rarities such as C. calceolus, C. trifida and O. spitzelii. 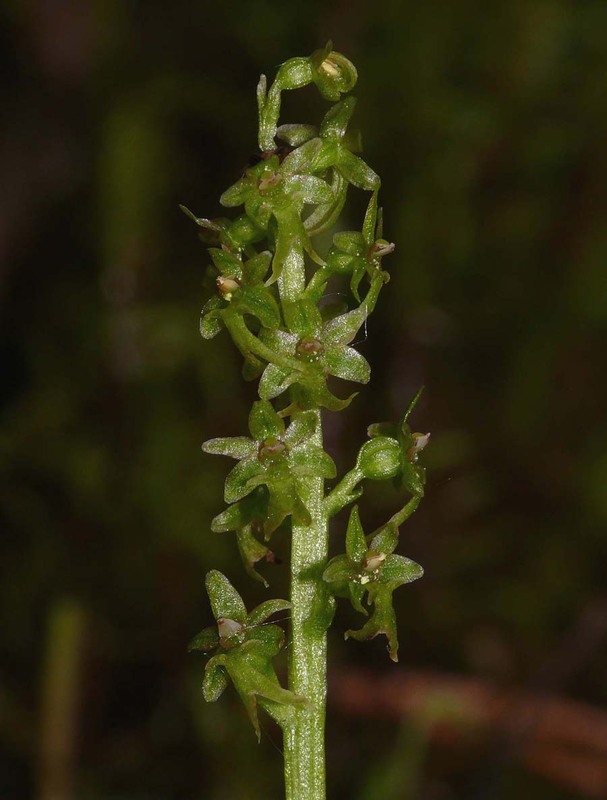 You will note the highly unusual green-flowered examples of the species.